If you're suffering from a health condition related to your diet, you may be curious if a nutritionist is the medical professional you need to consult with. Understanding the difference between nutritionists and dietitians if the first step toward answering your question. While they are both food and nutrition experts and are considered to be health care professionals, there are large distinctions between these two experts. 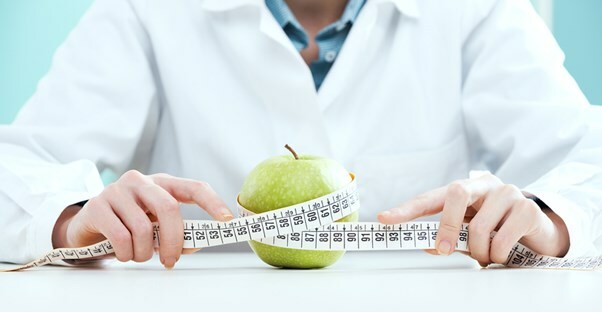 A dietitian has completed years of rigorous training in a university setting to receive accreditation, while a nutritionist may have not completed these educational steps to gain the title. Talking to your primary physician will allow you to decide which nutrition expert you should consult with. Many nutritionists practice clinical nutrition, which is usually considered to be alternative or complementary medicine. Clinical nutrition is a type of science that studies how different nutrients are digested and absorbed by the body, transported, metabolized, stored and then finally eliminated. In addition to studying how different types of food work within the human body, clinical nutritionists also take the environment into consideration and how it affects the overall quality as well as the safety of foods. They then study how these factors may play a part in contributing to health issues and diseases. Proper nutrition is extremely important to ensure that your body stays as healthy as possible. Nutritionists work with food and nutritional science with an aim at preventing diseases that could be related to nutrient deficiencies. Nutritional deficiency, also known as malnutrition, is caused when the body does not absorb the necessary amounts of a specific nutrient in order to thrive. These types of deficiencies can lead to a number of different health problems that can be determined and treated by nutritionists. This includes digestion problems, skin problems, stunted bone growth, and dementia. The nutritionist can then use nutrient manipulation to enhance the clinical response to different health conditions and human diseases. To first determine if you are dealing with a nutritional deficiency, the nutritionist will discuss your diet and overall eating habits. It's important to discuss any symptoms that you may be having in order to determine your exact condition. This could include increased fatigue, constipation, or diarrhea. Nutritionists can also diagnose various conditions by performing routine blood tests. The nutritionist will then work to treat any conditions and the type of related deficiency. Conditions such as vitamin A deficiency, vitamin B deficiency and calcium deficiency can be treated with dietary changes as recommended by your nutritionist, along with supplementation and parenteral administration if needed in more severe cases. In most cases, once the condition has been treated by the nutritionist, problems caused by the deficiency will stop.